Keep Your Child Safe on the Internet! PhishingThis section is about Phishing; way in which crooks try to get you to give them your personal information! Imagine a complete WEB Based Customer Relationship Management Solution that takes only minutes to configure and doesn’t require any software to be installed on desktop computers. My Web Based CRM software does just that and makes it possible for any computer in your organization to access detailed customer information instantly. A successful CRM solution relies on the ability to interact with customers through any channel they choose, as well as a way to record and maintain real-time records of customer interactions so a complete view of the customer can be established. Customer Relationship Management – Customer Loyalty: My Web based CRM software helps you set your company apart from the rest by allowing your staff to deliver an informed response to customer questions and concerns; such responses can only come from a system that provides a complete profile of the customer. 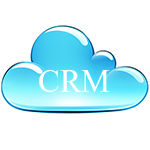 Listed below is a bold overview of our Free Web Based CRM Solution. We have tried to include as many CRM features as possible into this package including campaign management, lead management, contact management, opportunities management and case management. Next: See my CRM Installation and Registration.